The Upward Trend Blog: Two CE Classes Being Offered by SERVPRO of Fairfield in February! Two CE Classes Being Offered by SERVPRO of Fairfield in February! 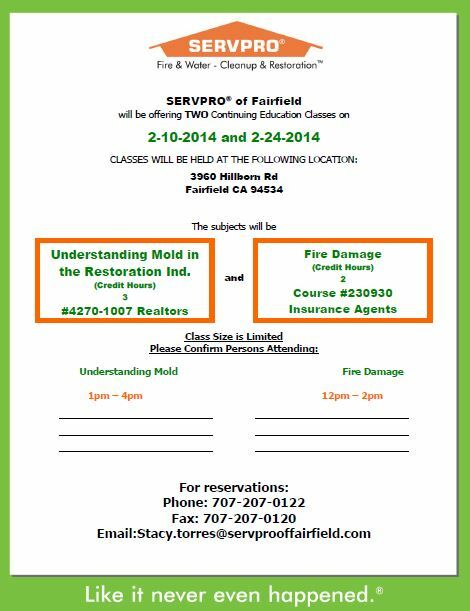 SERVPRO of Fairfield will be offering TWO Continuing Educating Classes on 2-10-2015 and 2-24-2015. Understanding Mold in the Restoration Ind.